Primarily a study in avant-garde, Yodok III, comprised of guitarist Dirk Serries, drummer Tomas Järmyr and Kristoffer Lo (tuba), is bridging genres like ambient, free jazz, drone, shoegaze, post-rock, and even classical into a mind bending tapestry. The band’s impressive, harmonious, and forward thinking experimentation’s are groundbreaking, “suggesting a new means of creating free improv”, according to All About Jazz – USA. 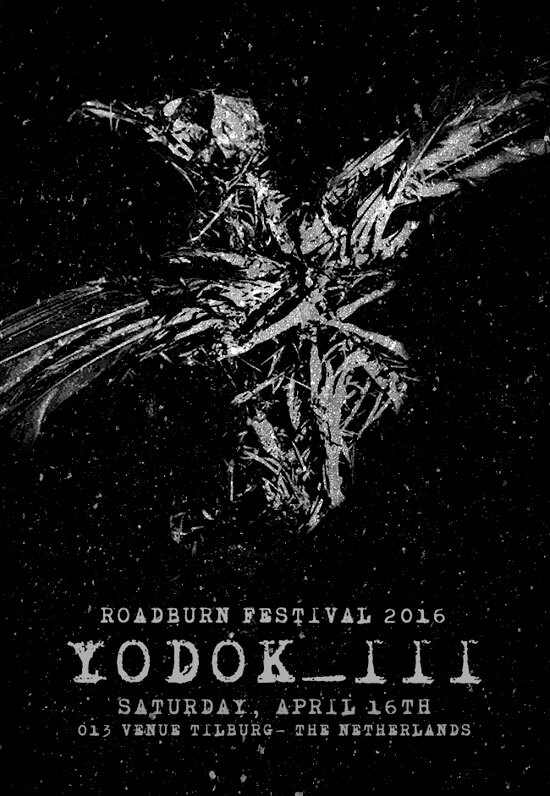 However, Yodok III will also heavily appeal to Roadburn attendees, offering “everything a classic post-rock fan might want: luxurious builds, crushing crescendos and the most cavernous guitar work this side of GY!BE”, according to A Closer Listen – UK. Yodok III is certainly from the jazz school of thought, but jazz this is not! Walter & co can’t wait for the band to discard all musical boundaries at Roadburn 2016, plus they will also be releasing their forthcoming live-album, Legion Of Radiance : Live At Dokkhuset (on Belgium’s Consouling Sounds) alongside their performance on Saturday, April 16 at the 013 venue.